Trying out different variations of tomato recipes, in preparation for (hopefully) ALL those tomatoes that our garden will soon provide. Last week, we made marinara sauce. Tonight, I tried Pomodoro sauce. 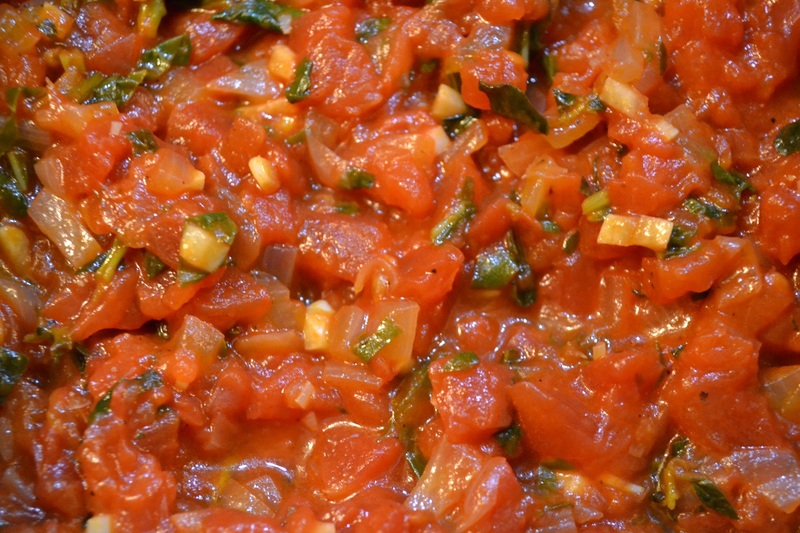 The ingredients are similar, however, Pomodoro sauce tends not to be blended. 1. Heat olive oil in sauce pan. Add onion and garlic, approximately 5 minutes, until onion is translucent. Add the tomatoes plus juice, simmer for 15 minutes. 2. Add lemon juice and spices including herbs and simmer for an additional 15 minutes. Meanwhile, prepare pasta according to package direction. 3. 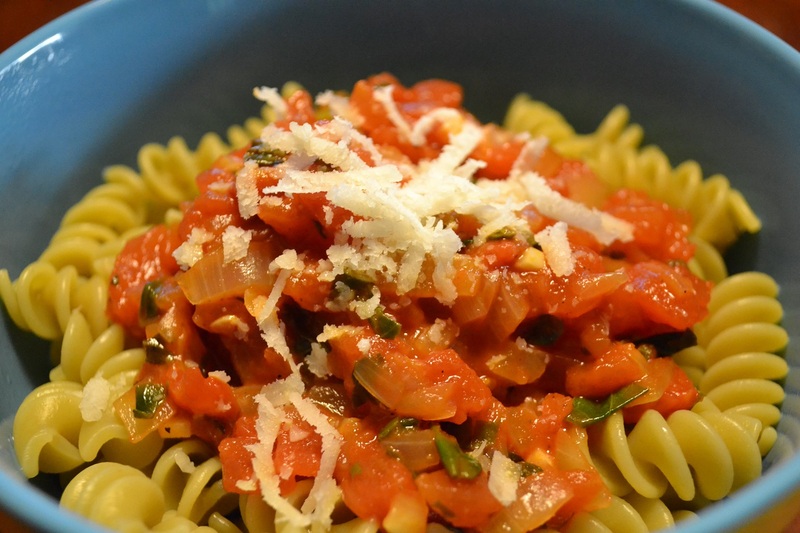 Serve sauce over pasta with freshly grated Reggiano cheese. Enjoy. Categories: In The Kitchen, Main dishes | Tags: basil, lemon, oregano, pasta, tomato, vegan, vegetarian | Permalink. Asparagus was on sale and of course I ended up buying it. So now we had asparagus and it was time to try out a new recipe. 2. Heat oil in large skillet over medium heat. Add bell pepper, asparagus, lemon peel, salt, and pepper. Cook, stirring occasionally, until vegetables are crisp-tender (approximately 10 minutes). 3. Add lemon cube and beans into vegetable mixture. Heat, stirring occasionally, until beans are hot. Add pasta and toss. 4. Sprinkle with freshly grated Asiago cheese, optional. Note: Even though it only contained salt and pasta, the dish turned out very flavorful and “spicy”. Must be the lemon zest and/or the Asiago cheese. I was skeptical at first about adding the beans, but they actually fit nicely with the dish and add extra protein to this dish. Categories: In The Kitchen, Main dishes | Tags: aspargus, lemon, pasta, vegan, vegetarian | Permalink. 1. In 4-quart Dutch oven, heat water to boiling over medium-high heat. Add sweet potato; cook 3 to 5 minutes or until crisp-tender. Drain. 2. Cook and drain pasta as directed on package. 3. Meanwhile, in 10-inch skillet, heat oil over medium-high heat. Add garlic; cook 30 minutes, stirring frequently. Stir in tomatoes. Cook about 3 minutes, stirring frequently, until slightly soft. Stir in zucchini, yellow squash, sweet potato, salt, and pepper. Cook 2-3 minutes, stirring frequently, until vegetables are crisp-tender. 4. 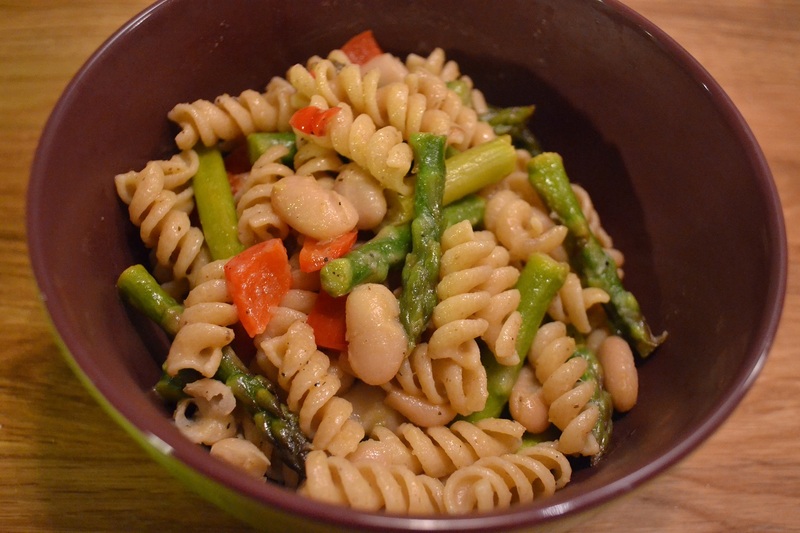 Serve vegetables over pasta. Sprinkle with cheese. Categories: In The Kitchen, Main dishes | Tags: pasta, pasta sauce, sweet potato, vegetarian | Permalink. 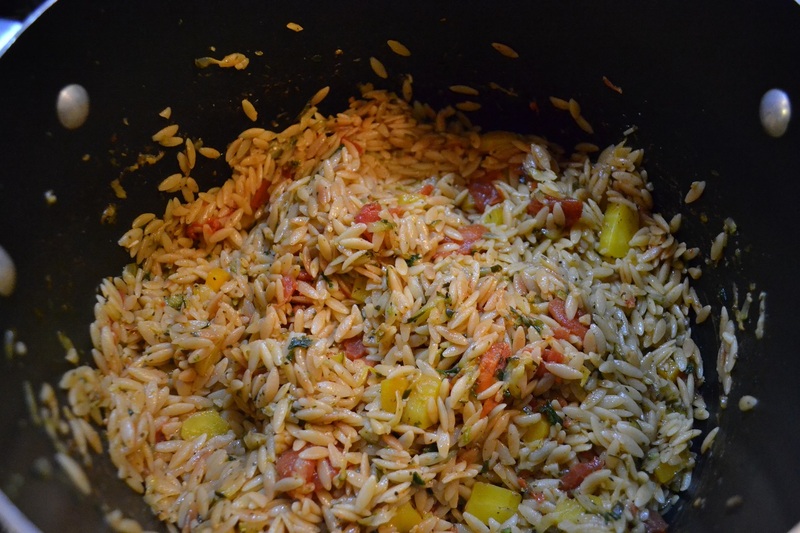 Orzo is rice-shaped pasta that is quite versatile. This dish not only uses fresh vegetables such as zucchini and carrots, but it gets its ‘zing’ from lime zest and freshly pressed lime juice. 1. Heat the olive oil in a large skillet over medium-high heat. 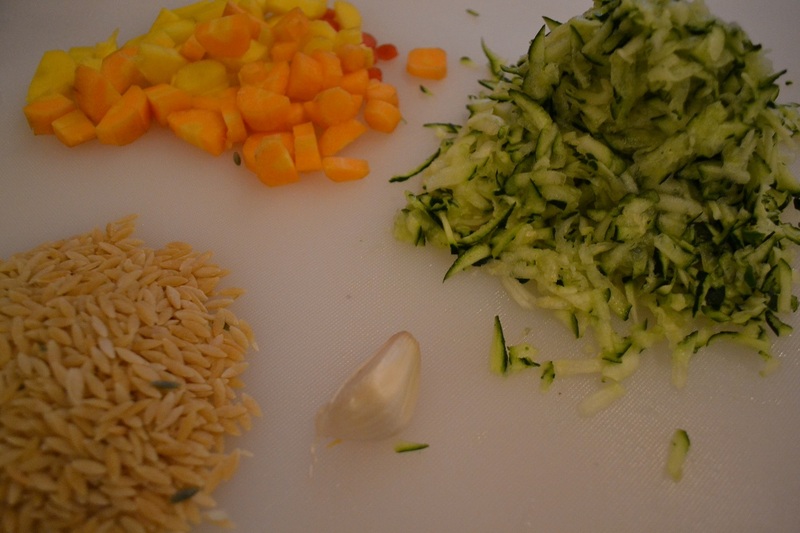 Stir in the garlic and orzo pasta; cook and stir until pasta turns a light, golden color, about 5 minutes. 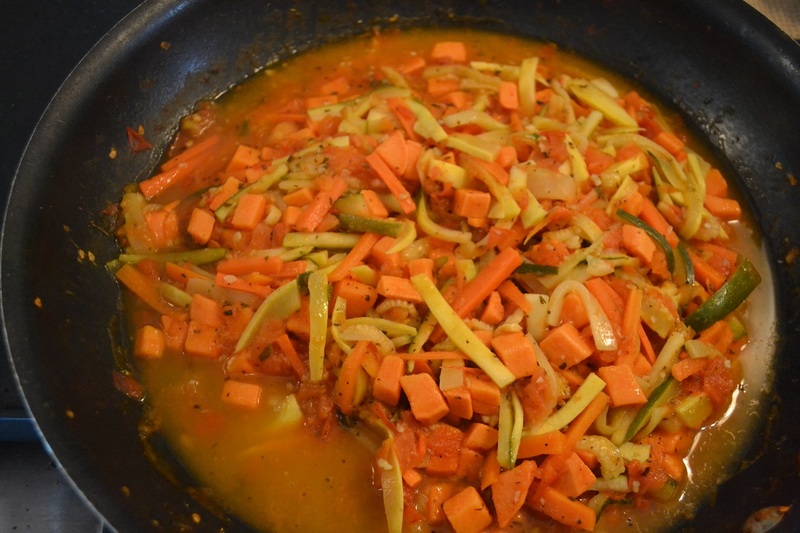 Stir in zucchini and carrots; cook until vegetables soften, about 2 minutes. Stir in the tomatoes, vegetable broth, Italian seasoning, and basil. 2. Season with salt and pepper to taste. Reduce heat to medium. Cover, and simmer until almost all liquid is absorbed, about 10 minutes. Stir in the green onions, parsley, lime zest, and lime juice. Remove from heat, cool slightly, and serve sprinkled with Parmesan cheese. Note: We prefer Pecorino Romano cheese over Parmesan. * Carrots are a great source for beta carotene, vitamins C and B, fiber, calcium, iron, and potassium. 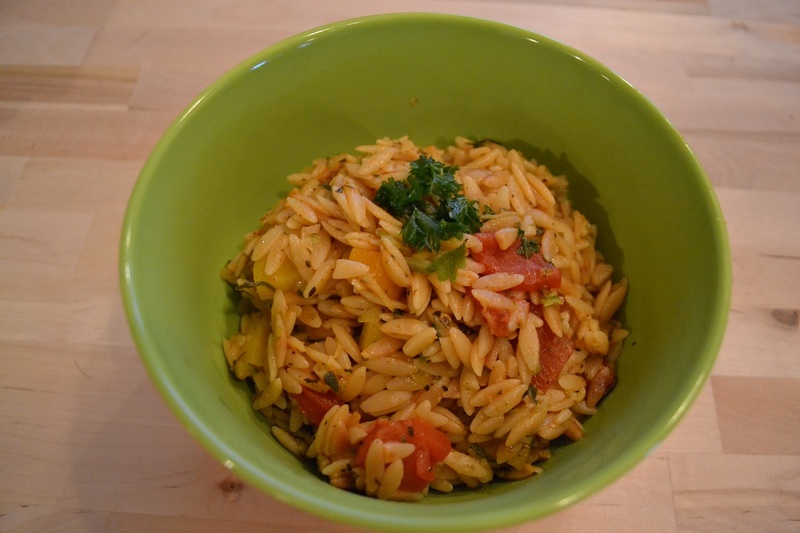 * Orzo is low in fat, while being a good source of protein and iron. * Lime juice is rich in vitamin C.
Categories: In The Kitchen, Main dishes | Tags: carrots, lime, orzo, pasta, vegan, vegetarian, year-round, zucchini | Permalink. 1. I used the walnuts as they came from the bag. (Alternatively, to remove the skins you can drop the nuts into a small pan of boiling water, and cook for 1-2 minutes. Drain. Slip of the skins. Dry on paper towels.) Coarsely chop and set aside about a quarter of the nuts. 2. Place the remaining nuts, the breadcrumbs, oil, parsley, and garlic (if using) in a food processor or blender. Process to a paste. Remove to a bowl, and stir in the softened butter and the milk. Season with salt and pepper. 3. Cook the pasta in a large pan of rapidly boiling salted water until al dente. Drain, and toss with the sauce. Sprinkle with the reserved chopped nuts, and sprinkle with Parmesan cheese. 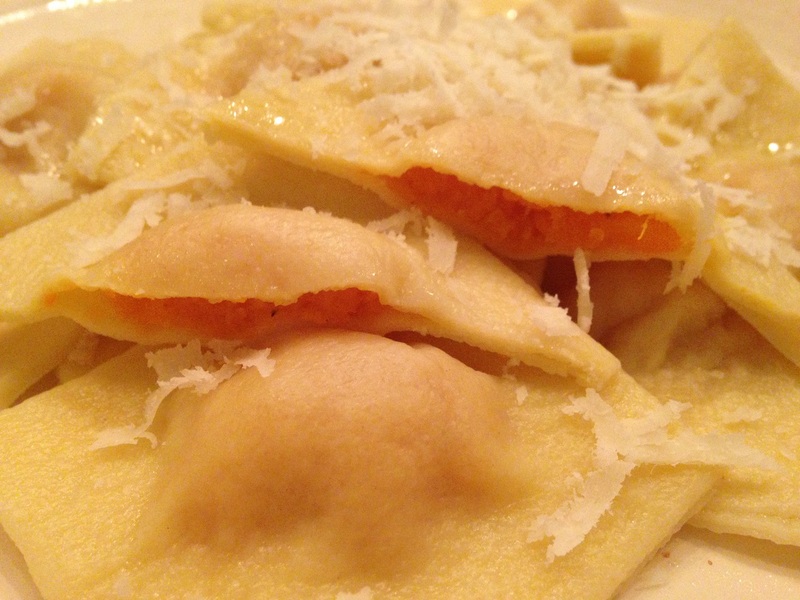 * We have grown fond of Pecorino Romano cheese instead of Parmesan cheese. It is a bit milder in taste. * This dish stores well in the refrigerator in an air-tight container and can easily be reheated using the microwave. * Walnuts (including their skin) are a good source of vitamin E. They also are rich in magnesium and potassium. They even contain a fair amount of calcium. 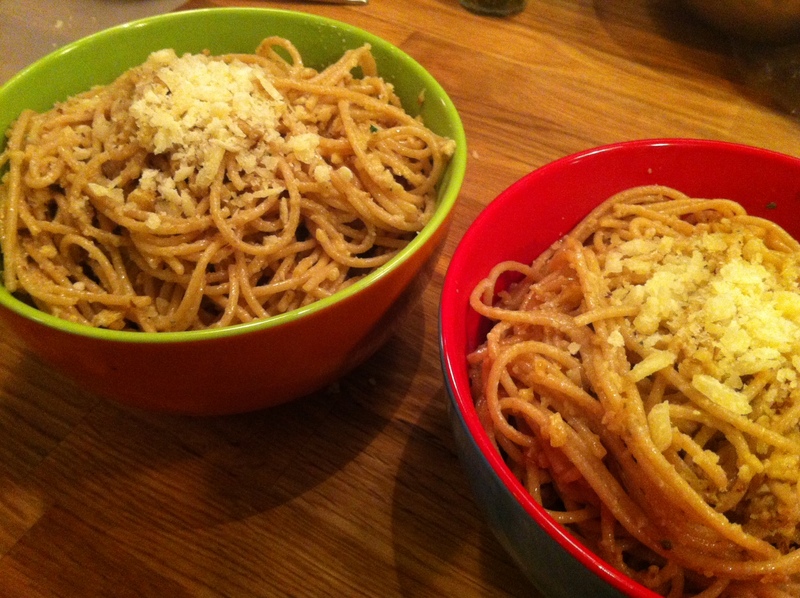 Categories: In The Kitchen, Main dishes | Tags: bread crumbs, pasta, pasta sauce, vegetarian, walnut, year-round | Permalink.